Have you ever had the unfortunate experience of being in the middle of a baking project when you realize your stick of butter is rock hard? Or maybe it's dinnertime and you don't have any soft butter to spread on the rolls? So you put your stick of butter in the microwave for a few seconds to soften it up. When you take it out of the microwave, the middle of the stick has melted into a puddle and the ends are still cold and hard. Does this sound familiar? 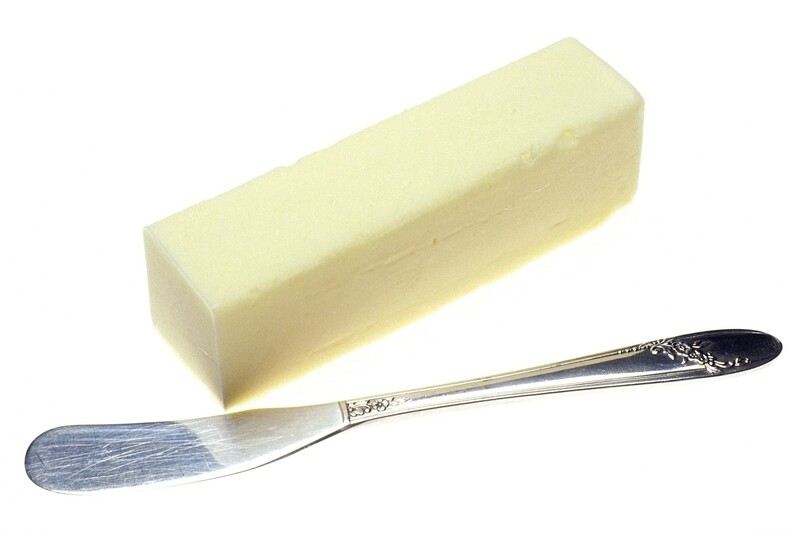 I recently came across a few different tips that will help you get perfectly softened butter in two minutes or less. Tip # 1 – Use a cheese grater. 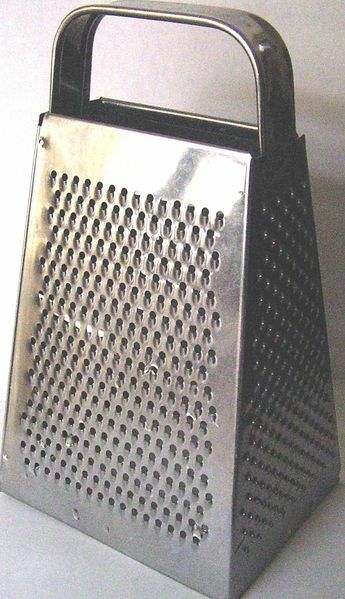 Using the largest holes on your cheese grater, grate your butter into a pile of shavings. Spread out the shavings on a plate or piece of wax paper. The butter shavings with soften up in no time and you can dump them right into your recipe. Tip #2 – Use the microwave, but be strategic about it. First stand your butter up vertically on one of its small ends and microwave for 5 seconds. Then turn it over so it is standing vertically on the opposite side. Microwave again for 5 seconds. Now lay the butter flat on its long side. Microwave it again for about 4 seconds. Flip it over one last time on its opposite long side and microwave for 4 more seconds. Your butter is now uniformly soft! 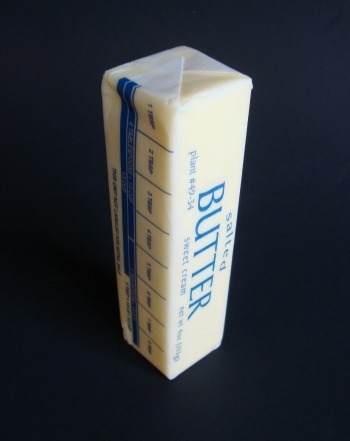 If your butter is frozen solid, you will likely need to double the amount of seconds in each step. (The results may vary depending on your microwave). Tip #3 - Put it under a warm glass. Measure out the amount of butter you need, put it on a plate, and set aside. Fill a drinking glass with hot water and let the glass sit with the hot water inside for a minute. Pour out the hot water. Take the hot glass and place it over top of the butter for about another minute. Take the glass off and the butter should be soft and ready to spread!